The last stop in Yugoslavia for the Orient Express, upon which James Bond and Tatiana Romanova were traveling in From Russia With Love is the border town of Sežana. He slept until Sezana. The hard-faced Yugoslav plain-clothes men came on board. The trip from Ljubljana to Sežana takes less than an hour. That’s a pretty short nap, for sure. 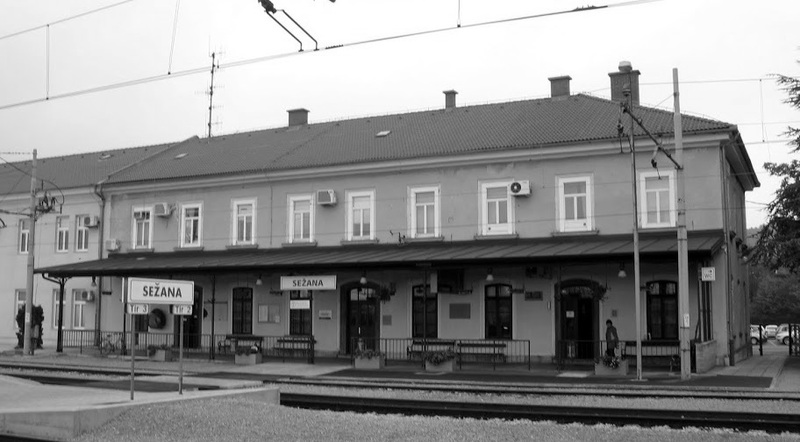 The station has been in use since 1857, when Sežana was part of Austria. It became a part of Italy after WWI and then following WWII Yugoslavia took control of the town and station. As indicated further in the text, Sežana is the last stop in Yugoslavia for the train. Next up, Italy.